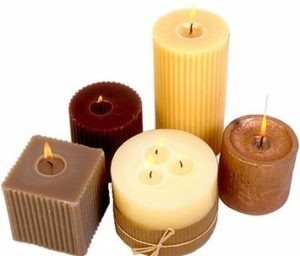 At Flavor Candles we have the worlds best custom craft candles. Our candles are made from the best material in the world. Our customers express there satisfaction weekly and monthly with every new order, it's always, " My family loves your candles, my friends loves your candles". We have various flavors for the Lover In You. Exotic Candles as well. Pina Colada Fragrance - Like a Tahitian Breeze, this scent features the sweet, wonderful smell of coconut and rum accented by fruity banana and a touch of vanilla. Cinnamon and Spice - Smells like fall. White Chocolate and Hazel - Decadent scent. Plumeria - Muguet, soft carnation, powdery, & musk flower. Rose Passion - Dark roses sweet floral musks. Lemongrass - Smells like the country. Lavender - Smells like flowers in the spring. Baby Power - Pure and relaxing smell. Almond Creme - it is almond creme sweet candy coated vanilla almond. French Vanilla - Sweet buttery vanilla flavor. Pound Cake - Smell like mom pound cake. Gardenia - Rich diffusive and strong. Slices of Fruit - Raspberries, peaches, strawberry, cherry, orange, grapfruit flavors. Jasmine - Jasmine and roses combined. Island Getaway - fruity flavors of jamaica. Hershey Milk Chocolate - Cream and milk chocolate flavor that smell like hershey candy bar. Vanilla - Original flavor candle that is roasted. Strawberry - Sweet strawberry mixed with tart and vanilla. Sandalwood - Combination of sandalwood and cedarwood. Green Tea - Green tea, jasmine, rose. Mocha Chino - Milk Chocolate, Whipping cream, coffee. Orange Creamsickle - Orange and vanilla combine. Rain - Citrus and flower combine. Butter Pecan - Smell like ice cream with a nutty flavor. Amaretlo Apple Crip - Aromalic desert. All Candle Baskets Includes: Teddy Bear, Chocolate Candy, Popular Cd or your favorite Cd, Bath & Body supplies, Incense and Body Oil.